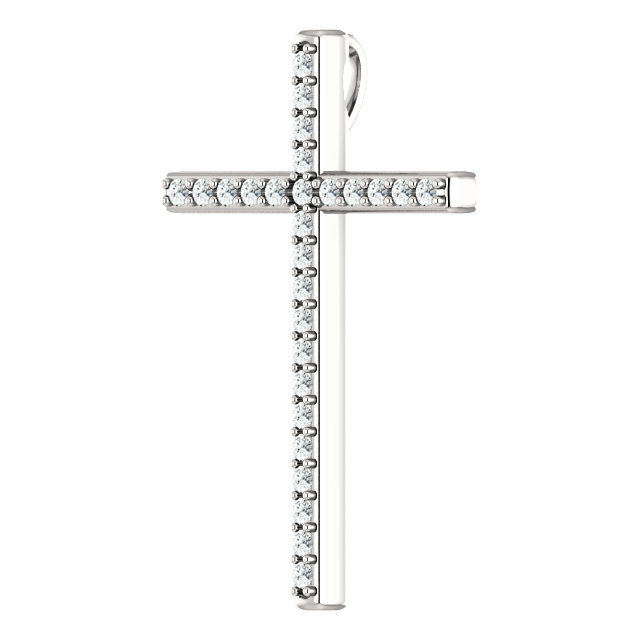 The brilliance of white in this diamond cross pendant crafted in .925 sterling silver is a symbolic reminder of the future resurrection of the Saints. "For if we believe that Jesus died and rose again, even so them also which sleep in Jesus will God bring with him" (1 Thessalonians 4:14). 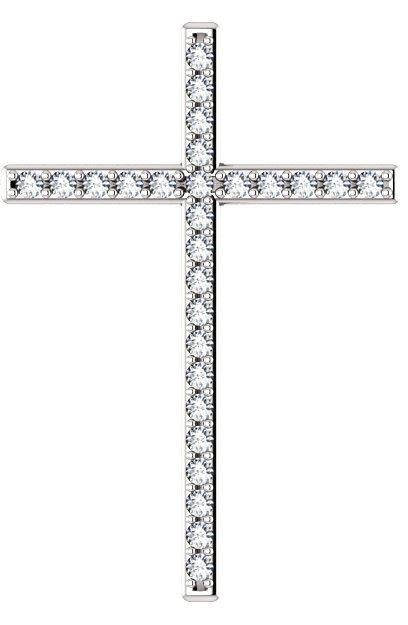 The diamond cross pendant is set with 27 white diamonds in I-J Color, I Clarity. The cross pendant measures 1 1/4" tall x 0.85" wide and has a hidden hoop/bale combination which is concealed behind the cross and out of the way when worn for the utmost in beauty and design. Add a matching sterling silver cable link chain or wear the diamond cross with a chain necklace of your choice. 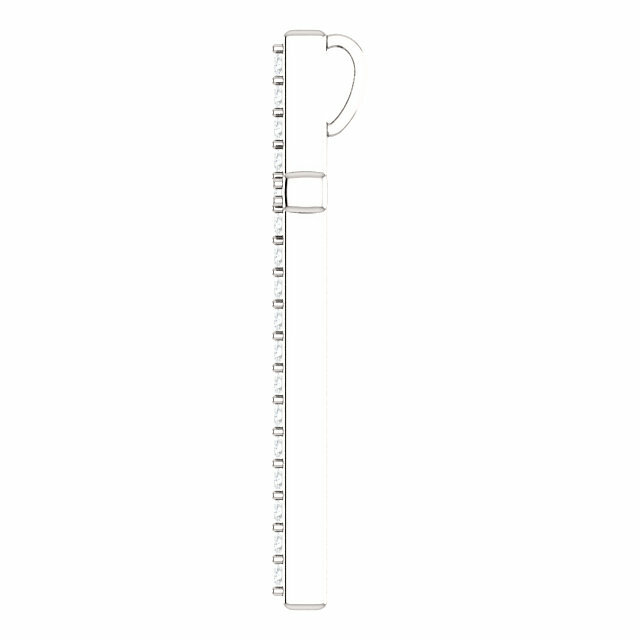 Also available in white gold or yellow gold, shown below. We guarantee our The Resurrection Diamond Cross Pendant in Sterling Silver to be high quality, authentic jewelry, as described above.